Hi everyone – I’m Janie, Janie Leonard. I'm a waitress at the By the Spoonful Soup Shop. I've been working there since I graduated from high school and saving my money so I could go to college. I wasn't sure I wanted to do that, but my mother insisted, and now that it's coming close, I'm happy about it. It'll be a big change for me though. My job is tough some days, but I do love it. I work with Meg, the other waitress at the Spoonful, and she's one of my best friends, and I just love Lucky and her grandfather Jack. They've been so good to me. 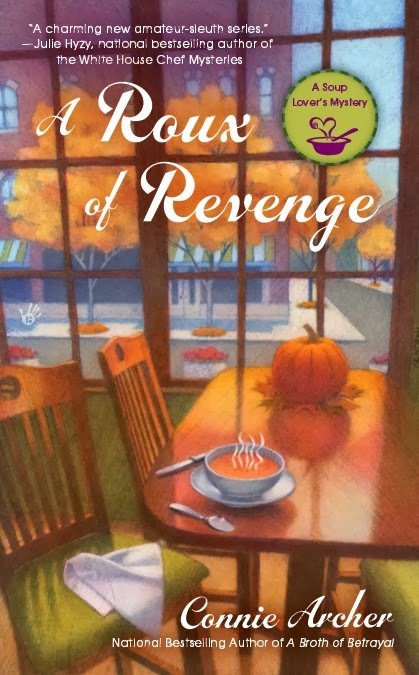 I've kind of been in the background during the soup shop series, but I'm proud to say I play a very large role in the next book, A Roux of Revenge. It almost makes me feel as if I'm famous, but to tell the truth, I'm sort of embarrassed about my part in the story because my behavior was awfully stupid and childish. I didn't see it that way at the time. I was really upset about my family and I wasn't very nice to my mother at all. She's totally forgiven me now and so has Lucky, but still . . . all that bad stuff will be apparent to everyone in A Roux of Revenge. I can't really say much more about any of it because I don't want to give the upcoming story away, but everything that happened to me was really exciting. I hope you’ll read all about me in another month and a half when A Roux of Revenge is released. And please don’t think I’m a big selfish baby when you read about the way I behaved. I’m really a nice person -- even my mother thinks so. 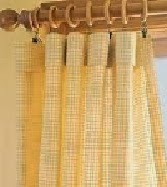 at Facebook.com/ConnieArcherMysteries and Twitter @SnoflakeVT. I think we all go through something similar when growing up, Janie. Thanks for saying that, Willow. It makes me feel a lot better. Looking forward to reading more about you in A Roux of Revenge, Janie. I had some amazing adventures, not all of them were fun, but I lived to tell about it! 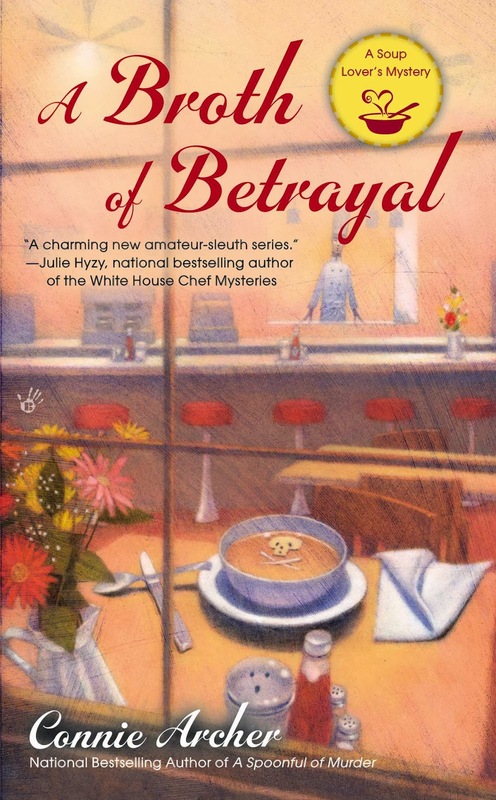 I just stopped by to say that I really enjoyed the first in your soup lover's series and have ordered the second one. A nice change of pace from so many of the cat/bookstore/library mysteries, although I read many of those and love them, too. So nice to hear and thank you! I hope you like A Broth of Betrayal just as much. I try to delve into the characters even more with each book and hope readers will feel they really "know" the residents of Snowflake! Loved the first two, Connie. Can't wait to read this one! Hi Linda - That's great! I'm excited about this one too! Really hope you like Roux! I just finished reading A SPOONFUL OF MURDER last week. Can't wait to read the next two! 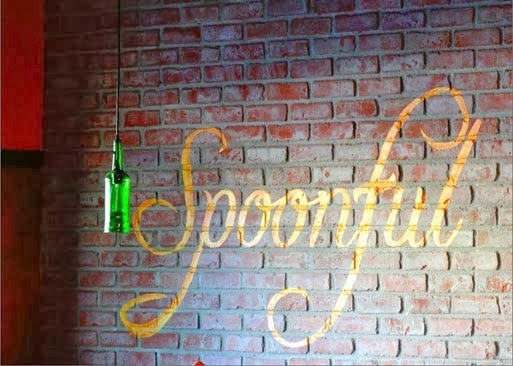 I'm also working on getting a review up for Spoonful. I'll post it on my blog as well as different sites. Thank you for a great "new to me" series to enjoy! Hi Lisa - That would be wonderful. 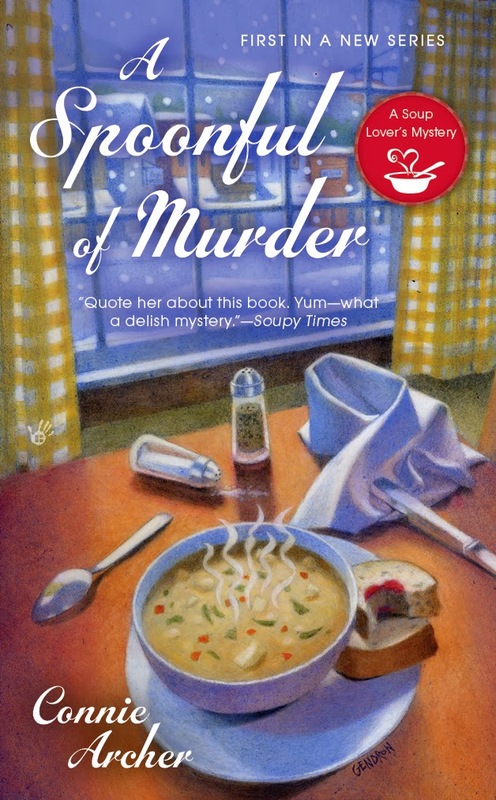 Thanks so much for reviewing A Spoonful of Murder! I hope you enjoy your next visit to Snowflake! I'm really looking forward to reading this series! 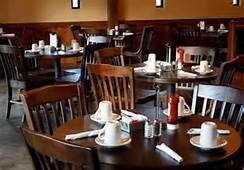 Hi Melissa - So nice to connect with you on Killer Characters and I'm glad you're going to be visiting Snowflake, Vermont!